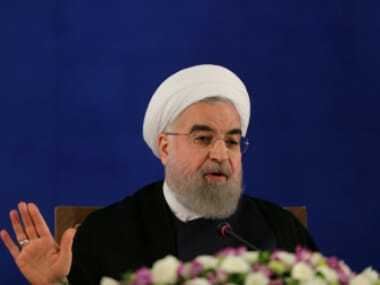 United Nations: Iran's president Hassan Rouhani said on Thursday that the Iranian people are waiting for an apology from US president Donald Trump for his "extremely offensive" rhetoric and "unfounded" allegations about his country. Rouhani told a news conference that the Trump administration is seeking "an excuse" to pull out of the nuclear agreement that caps Iran's nuclear activities which is supported by his government and the five other parties - Russia, China, Britain, France and Germany. If the US decides to break the agreement, Rouhani said, "any choice and any option" are open for Iran "that we see as beneficial to our country", but he dismissed Trump's "baseless accusation" that the nuclear deal may be providing cover for Iran's eventual construction of nuclear weapons. "The option that we say we have at our disposal... will never be going towards nuclear weapons," Rouhani said. "Iran has never sought nuclear weapons, will never seek nuclear weapons, is not now seeking nuclear weapons." "An option may be to start enrichment," he said, "not building an atom bomb." 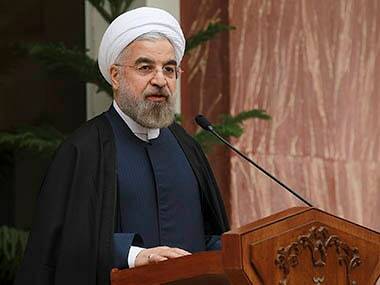 Rouhani said Iran's 10-year agreement to purchase fuel for its nuclear reactor at Bushehr is coming to an end and it may want to produce its own enriched uranium for fuel, but "never, ever, at all nuclear weapons." Trump was sharply critical of Iran, urging world leaders at the UN General Assembly on Tuesday to join the US "in demanding that Iran's government end its pursuit of death and destruction." He called the country "a corrupt dictatorship" and "murderous regime" whose oil profits "fund Hezbollah and other terrorists that kill innocent Muslims and attack their peaceful Arab and Israeli neighbours." And he said the nuclear deal, known as the JCPOA, was "an embarrassment to the United States" and strongly hinted the US would pull out. Rouhani responded to a question on whether his government would be willing to talk to the Trump administration about issues other than the nuclear deal saying, "we wouldn't be able or willing to talk to them about other issues." "I do believe that if the United States of America breaks the commitment under the JCPOA no other government in the future will be ready and willing to talk or negotiate with the United States of America," he added. That's because "a government that chooses to trample upon her legal and legitimate international commitments, a conversation or negotiation with such a government would be a waste of time." Rouhani added that Trump on Tuesday "was extremely offensive to the people of Iran and before anything, we are waiting for Mr Trump to issue an apology to the people of Iran." The Iranian leader told reporters that "if the United States government exits the agreement, undoubtedly it will be condemned by the American people themselves, and before that by the European Union and all countries throughout the world." 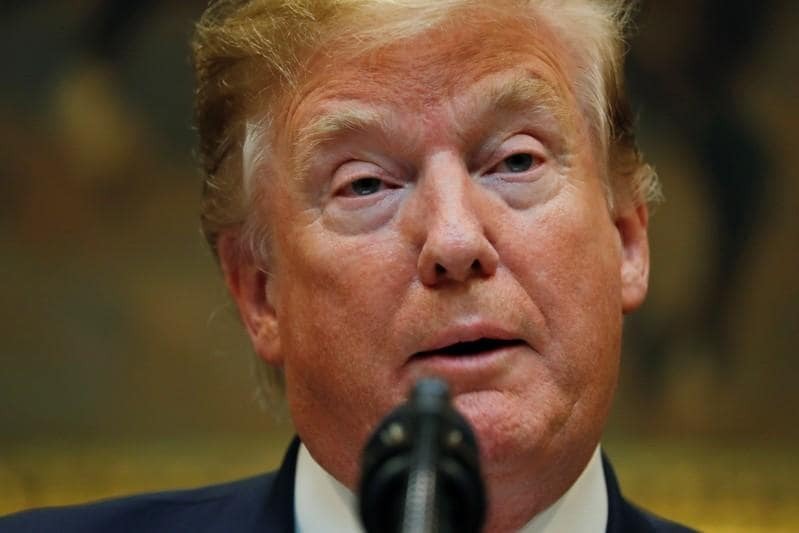 And if the Trump administration believes its pullout "will bring pressure on Iran, then you can say they are completely and absolutely mistaken," he said. "The exiting of the United States of America from the JCPOA will not benefit them in the slightest," Rouhani said. "The position of Iran throughout the world will be stronger and better than before, and the government of the United States, under the pressure of public sentiments from throughout the world, will not see any benefit." Rouhani also repeated several times that "there will be absolutely no changes, no alterations" to the agreement. And he said Iran will not accept any "preconditions or conditions" to keep the United States in the deal which was reached in 2015 after two years of negotiations. It was later ratified by the UN Security Council.